A sore throat is usually one of the first few signs of the common cold. However, it can also be due to many other things, ranging from dry air, an allergic reaction to exposure to irritants or pollutants. No matter the case, a cup of tea can help one make feel so much better in a snap. Taking something that’s scalding hot may make matters worse. The goal is to soothe your swollen or irritated throat, not to aggravate it. Especially if swallowing is a, well, pain in the neck it’s a good idea to consume herbal tea in iced form to alleviate the pain you are experiencing. Refined sugar is definitely bad for you no matter the cause of your sore throat, so make sure that you do not sweeten a cup of herbal tea with it. If you’re not really fond of consuming herbal teas, simply allow your choice to cool to room temperature and then gargle with it 2 to 3 times a day for relief. A lot of people assume that they have to step foot inside an herbal store just to get their hands on some tea bags that can make their sore throat feel so much better. 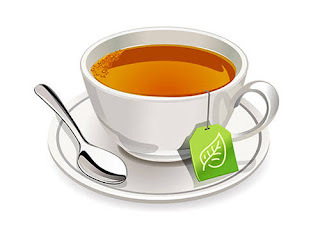 The truth is there’s a type of tea perfect for a sore throat that can be found in most kitchens at any given time or day, and that’s green tea. Loads of antioxidants present in this very popular beverage can help alleviate a sore throat, plus allow a person to bounce back so much faster from an infection, allergy or irritation. Everyone knows that ginger tea is good for battling nausea, vomiting and indigestion. Sadly, not a lot of people are aware of the fact that this herbal drink is excellent for dealing with so many other common issues. One of the things that ginger tea can help alleviate, too, is a nasty sore throat. That’s because it has superb anti-inflammatory properties, plus it can also reduce pain. A teaspoon of freshly-squeezed lemon juice can considerably boost the sore throat-relieving abilities of ginger tea. Put simply, turmeric is a cousin of ginger that has a richer and more eye-catching color. It’s for this reason exactly why it may also be taken each time you are being bugged by an achy sore throat. Just like ginger tea, the reason why turmeric tea can help soothe a sore throat is because of the fact that it can also combat inflammation. Aside from lemon juice, you may also add a teaspoon of honey to make a cup of it taste better. Just make sure that you opt for pure and organic type of honey. It’s no secret that chamomile tea is great for people who are suffering from indigestion. The herbal tea is commonly taken by those who are suffering from insomnia and anxiety disorder, too. Did you know that you can also take a cup of it each time that you have a sore throat? Its soothing properties can help you attain much-needed relief from an achy and itchy throat. Especially if your sore throat is leaving you coughing like a dog, having a cup of chamomile tea especially at night is certainly a wonderful idea.